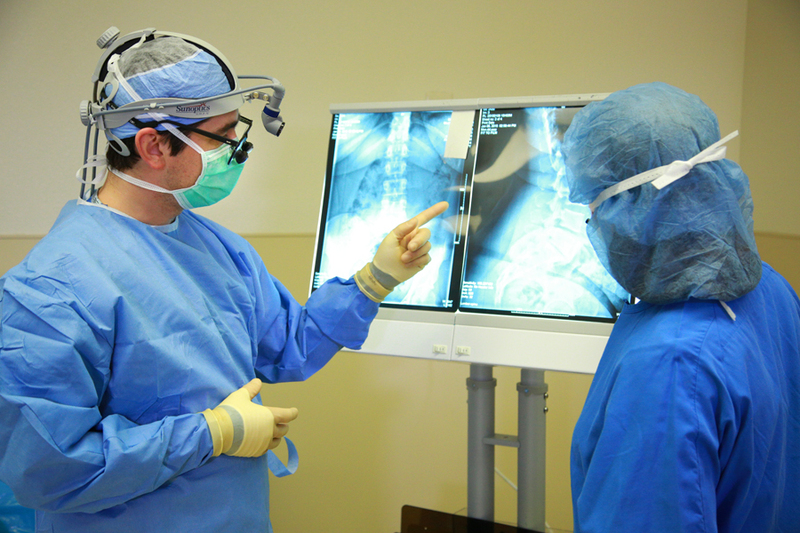 When do you need spine surgery? “Do I need surgery?” This is a common question that patients ask when they see a spine surgeon. Misunderstandings about the role of surgery in spine care are widespread. They often originate from pervasive TV commercials that promise instant cure of back problems by modern surgical techniques. It is important to know that even though spine care has made significant advances, there is still no magic cure that would alleviate every single problem. Spine surgery is no exception. There are three groups of patients with spine problems. There are three prerequisites to be considered for surgery. There are three kinds of pathology that surgery may address. Progressive weakness because of severe nerve compression. There are conditions that cause pain but are not life-threatening or cause dysfunction. In this group, surgery is not required but may help with pain. There are abnormal findings on imaging but no pain. This is very common. In fact, about half of people will have abnormal results on their MRI once they reach 50 years of age. There is something “fixable” – a structural issue that may be addressed with surgery. You have tried less invasive options without lasting success. You have a favorable benefit-to-risk balance. Let ‘s look at each of these conditions closer. Condition 1. There is something fixable on imaging. Three main spine abnormalities may be addressed with surgery. Abnormal alignment in the spine (scoliosis) – surgery may realign spine and fuse it in the corrected position. In cases when there are no identifiable abnormalities on imaging, surgery is not likely to improve pain. Condition 2. You have tried less invasive options first. 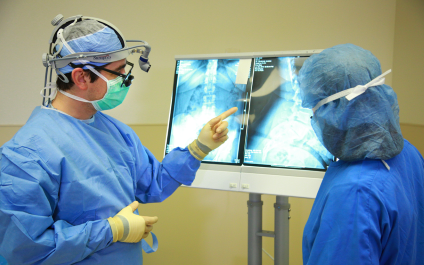 Spine surgery is rarely the first treatment for spine-related pain. This is primarily due to the injury being self-limited and the body’s ability to heal. The pain may improve either by itself or with less invasive treatments, like physical therapy, chiropractic manipulation, medications or injections. Another reason to try conservative treatment first is that every surgery has risks: infection, injury to the nerves, leakage of spinal fluid, progression of disease and deterioration of other spine levels. Also, surgery cannot guarantee 100% success. Condition 3. There has to be a favorable balance between expected benefits and existing risks. There are cases when expected benefit of surgery is very small, and risks of surgery are too high. In cases of advanced age, poor bone quality, chronic kidney disease or use of blood thinners (to name a few), risks may be too high even to consider surgery. While some health conditions are not modifiable, some can and should be addressed before considering surgery. Obesity, poorly controlled diabetes, and smoking significantly increase risks and must to be corrected prior to surgery.